A quick shot of a bottle of Whiskey from a local small distiller in Westfield New York. A whiskey barrel planter turned upside down was used as the table. The background is made up of wine bottles also sitting on the whiskey barrel. Depth of field was very shallow at f2.8 just to make sure the label was sharp and the focus started falling off right away. Lighting was provided by a single Paul C. Buff Einstein in a PCB strip light that was moved around the set and multiple exposures where taken to later be combined in Photoshop. I took 5 of the exposures into Photoshop and did some layer masking to select the area of the each exposure that I wanted to use in the final image. A little light flare was adding into the left side of the image and finished off with some unsharp mask. 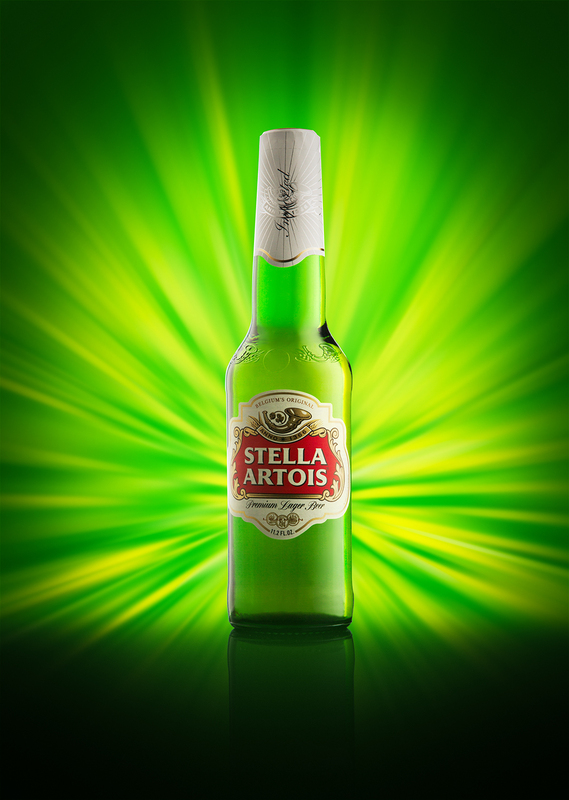 Same bottle as the previous shot of the Stella Artois beer bottle but I was playing with a color burst background which was created in Photoshop using colors pulled from the bottle and a burst was hand drawn on a new layer this layer was taken into the the radial blur filter > blur method was switched to Zoom and the amount was 80. This filter setting was added multiple times to get the look I wanted. I didn’t like the first attempt at the background so I just painted some more on the same layer and applied the filter again. 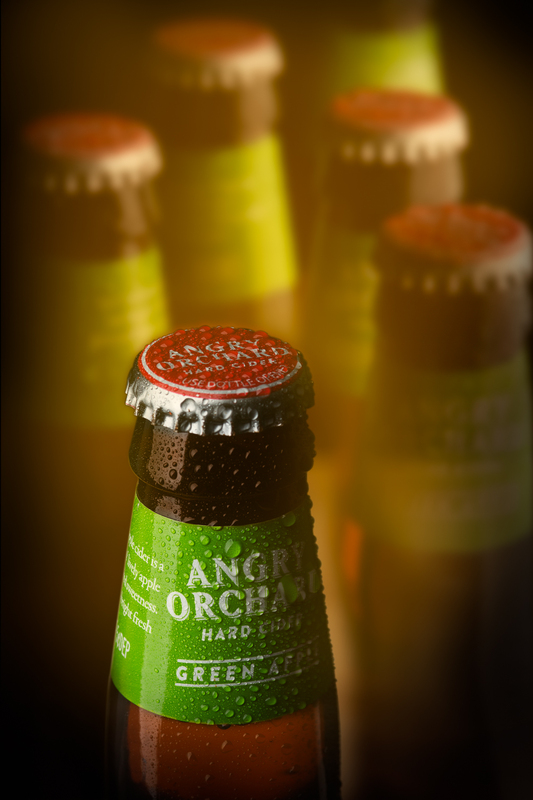 Tags: Alcohol photography, Beer Bottle Photography, Beer Photography, Bottle Photography, Brewery photography, Commercial photography, Digital background, Jamestown N.Y., Jamestown New York, Photoshop, Product Photography, Small Products, Studio Product Photograph. Table top photography, Western N.Y.
A new tutorial offering from Photigy.com and Ilya and Max Plotnikov of Doberman Studios. Two brothers that are producing incredible images in Russia. I think this world wide community of product photography and photographers that Photigy.com brings together is just incredible. This tutorial on beer bottle photography takes you through selecting the most common focal length lenses for commercial work to lighting all the way through post processing in Photoshop. They walk you through four complete images both in the studio and in photoshop. Each image has different looks which require different techniques. The use minimal equipment in the studio and are masters at the post processing side of the image production workflow. If you have any interest in beverage, bottle or beer photography this is one of the best and most complete workflow tutorials I’ve been able to find to date. While you’re at Photigy.com checking out the beer photography tutorial also check out their Studio Basics course and if your a little more advanced in your product photography shooting check out Proclub. A couple of my images you have already seen but they are based on some of Ilya Plotnikov techniques. 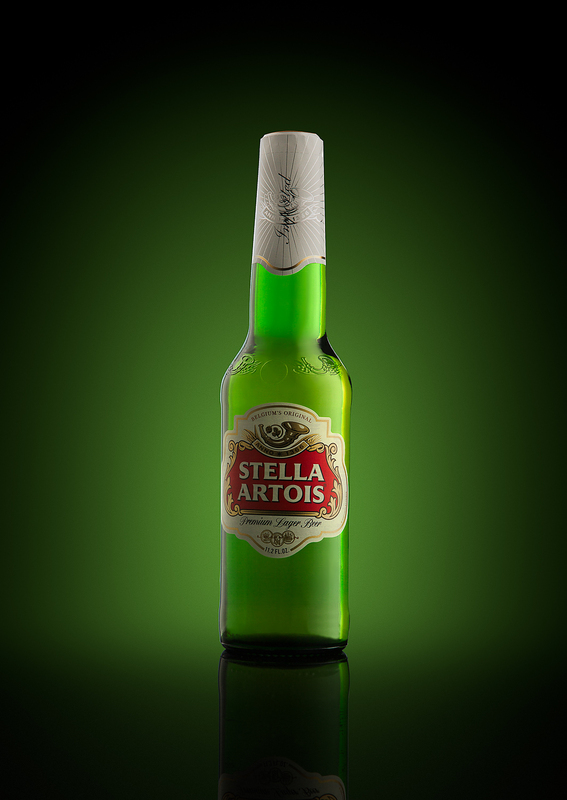 Bottle of Stella Artios photographed with a Canon 5D MarkIII and a Canon 24 – 70mm 2.8L. I also used a single Paul C. Buff Einstein with a small strip box attached. 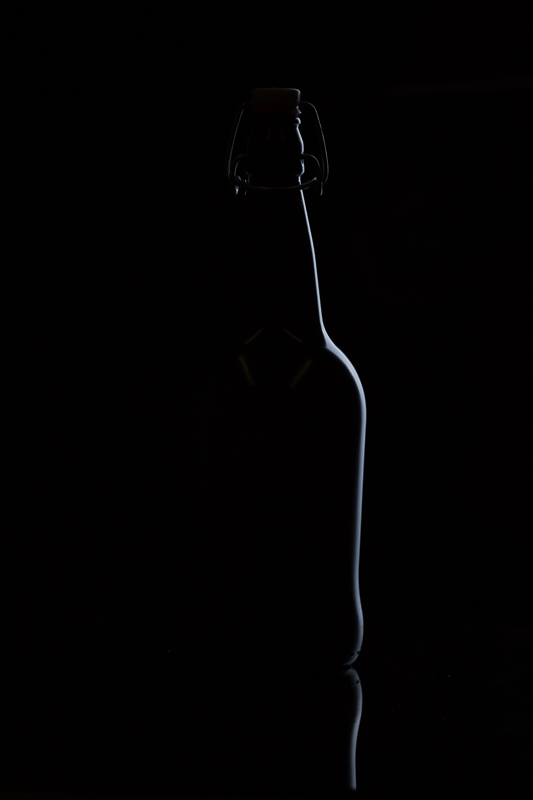 The light was moved around the bottle and shots where taken on both the right and left side as well as directly behind the bottle. 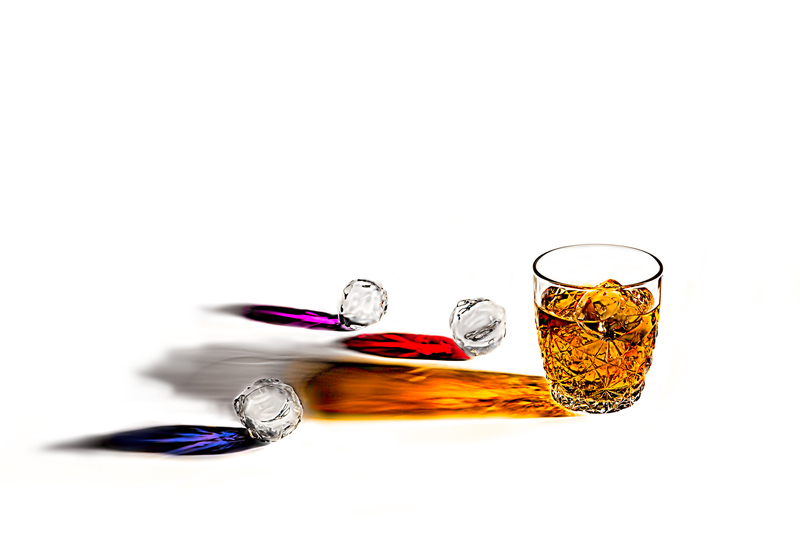 These images where taken into Photoshop and combined and cleaned up to produce the image you see here. 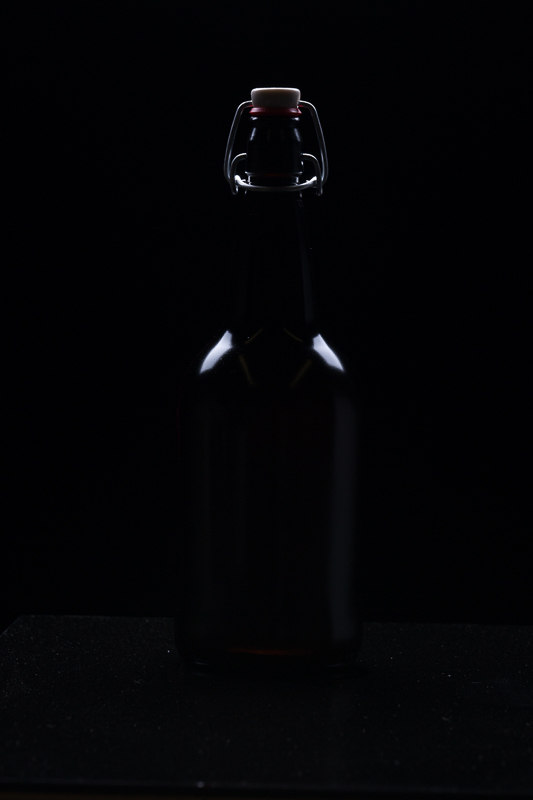 This is another Photoshop composite image made up of the front bottle 2 images, one of the back light, one with the lid and label lit properly. 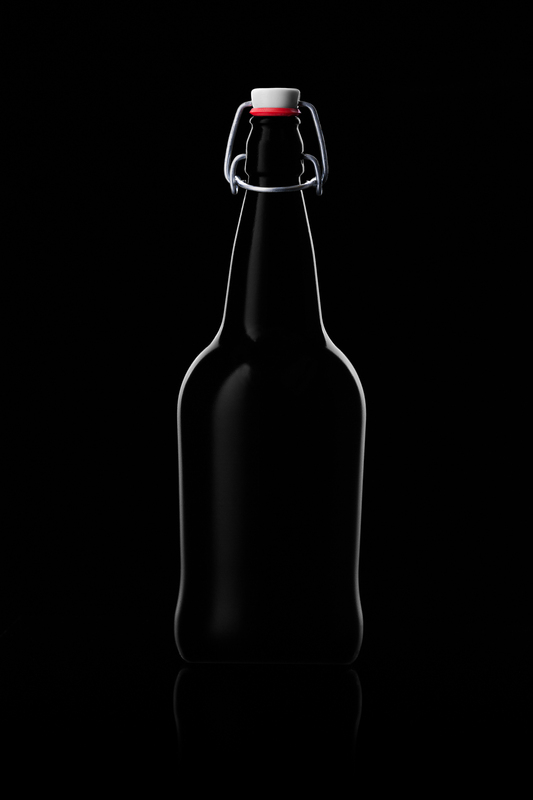 Then this front bottle image was added to the image of the background bottles. The background image was blurred a bit and a warm tone radial gradient was added to give it some ambiance and finally a vignette was added to finish it off. Tags: Chautauqua County New York, Commercial photography, Jamestown N.Y., Jamestown New York, kamooreimages.com, Kurt A. Moore, Moore Images, Moore Images Photographic Services, Photography, Photoshop, Product Photography, Small Products, Studio Product Photograph. 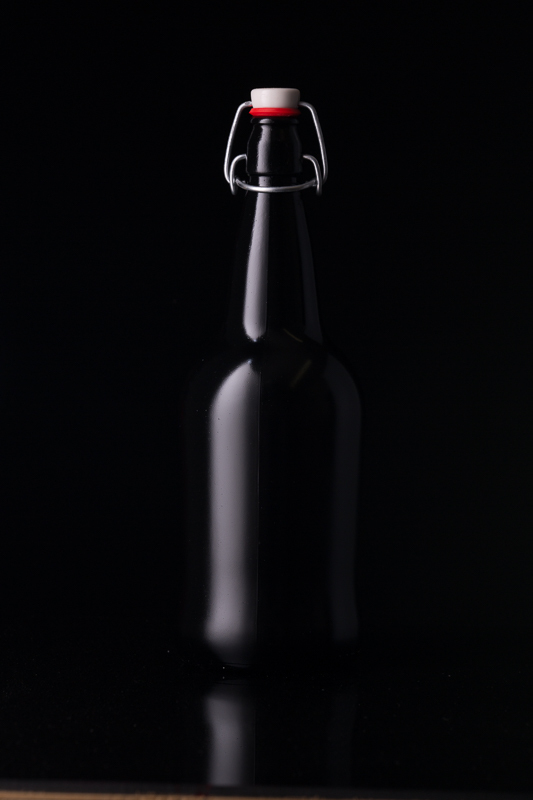 Table top photography, Studio product photography, Table top photography, Western N.Y.
Beverage photography, black bottle on black background. This image was produced using a single Paul C. Buff Einstein monolight with a large strip light. 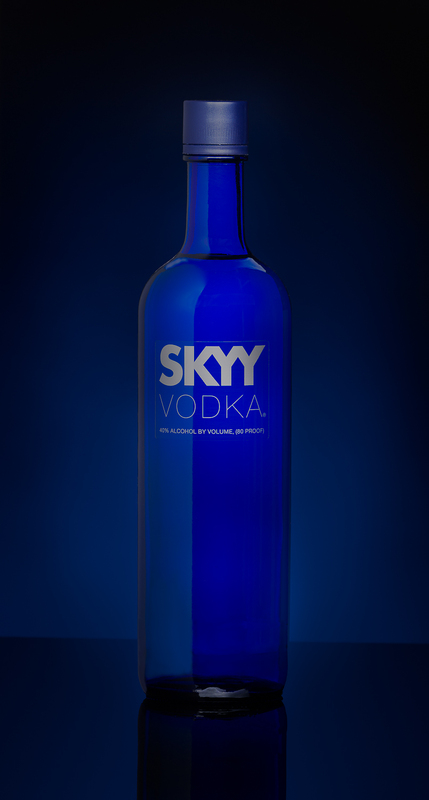 The light was moved around the bottle and an exposure was taken on the left side to rim light that side and then the same light was moved to the right side to get the same rim light and then a diffusion panel was placed in front of the strip box to produce the diffused hightlight on the left front side of the bottle and then moved to light up the cap area. These 4 exposures where taken into Photoshop and combined into the single image you see here. Some retouching and sharpening was also added in Photoshop. Tags: Chautauqua County New York, Commercial photography, Fine Art Photography., Jamestown N.Y., Jamestown New York, kamooreimages.com, Kurt A. Moore, Moore Images Photographic Services, Photography, Photoshop, Product Photography, Small Products, Studio Product Photograph. Table top photography, Studio product photography, Table top photography, Western N.Y. Architecture and Real Estate Photography barcelona lighthouse harbor new york Beer Photography Beverage Bottle photography Chautauqua County N.Y. Chautauqua Institution Chautauqua N.Y. Commercial Location HDRI-High Dynamic Range Images Jamestown N.Y. Large Product Photography lightpainting Liquid Local Sports and Event Photography Location Location Portraiture Makeup Photography nature nik software HDR efex panorama photoshop Photoshop Composite Retouching Small Product Photography Table top photography time-laspe photography Tourism Uncategorized Westfield N.Y.